I believe this is the best Caramelized Beetroot Tarte Tatin with onions, goat’s cheese and fresh thyme, it’s such a great winter meal. It was a very hard meal to photograph, but tastes amazing! Living in a temperate part of Australia, I’m torn between winter comfort foods and summer fresh foods. Let me explain. Winter day time high temperatures are around 19 degrees, which hardly seems like winter. Our winter overnight average temperature is 9 degrees, which feels cold when you acclimatise. So on a warm day you might feel like a fresh Pavlova topped with passionfruit and bananas, and the next, be satisfied with a hearty winter warmer such as a Tarte Tatin. A Tarte Tatin is traditionally made with apples, like an upside down apple tart. 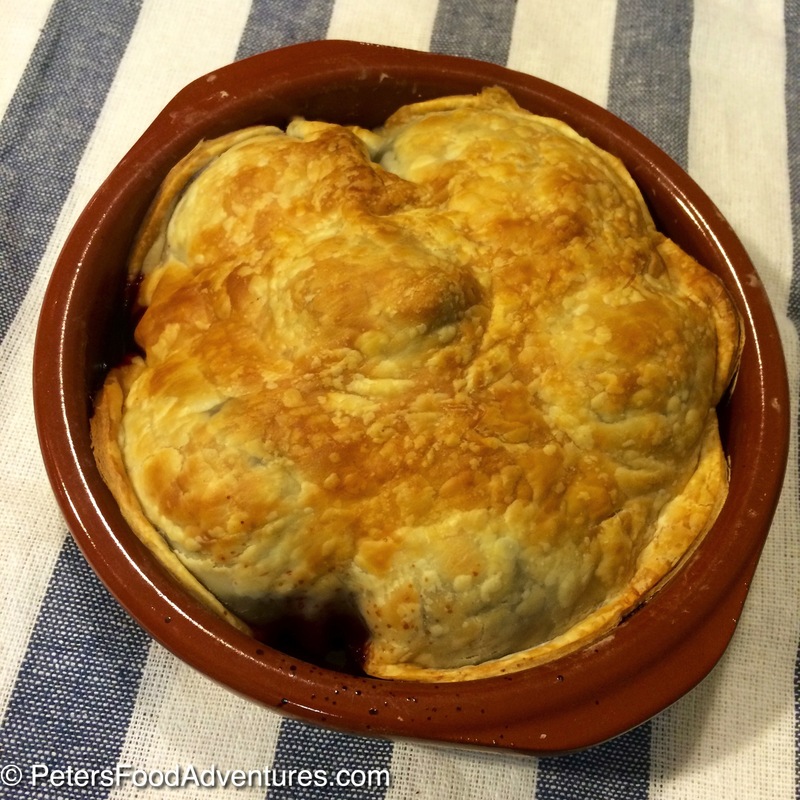 Savoury versions of the tart can be made with beetroot or made with onion. 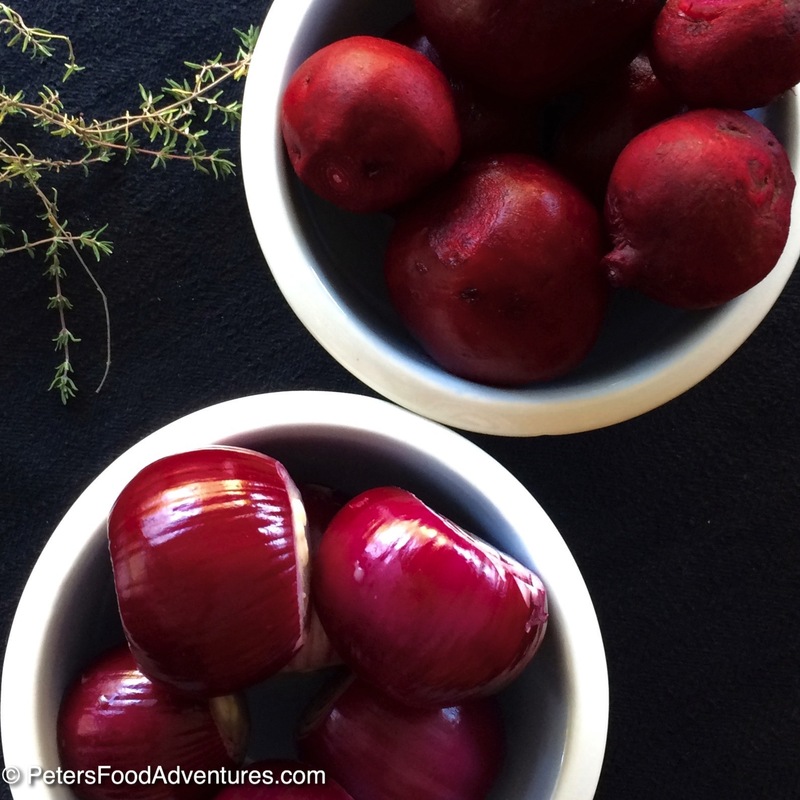 The process is the same to make onion tart or beet tart, so I combined both ingredients together to make a caramelized Beetroot Tarte Tatin with onions recipe. The flavour of the caramelized onions with the sweet juices from the beetroot, tossed in fresh herbs and balsamic vinegar, create a deep, rich flavour. I always add extra balsamic and brown sugar with the sherry, as I want to make as much syrupy glaze that I can. 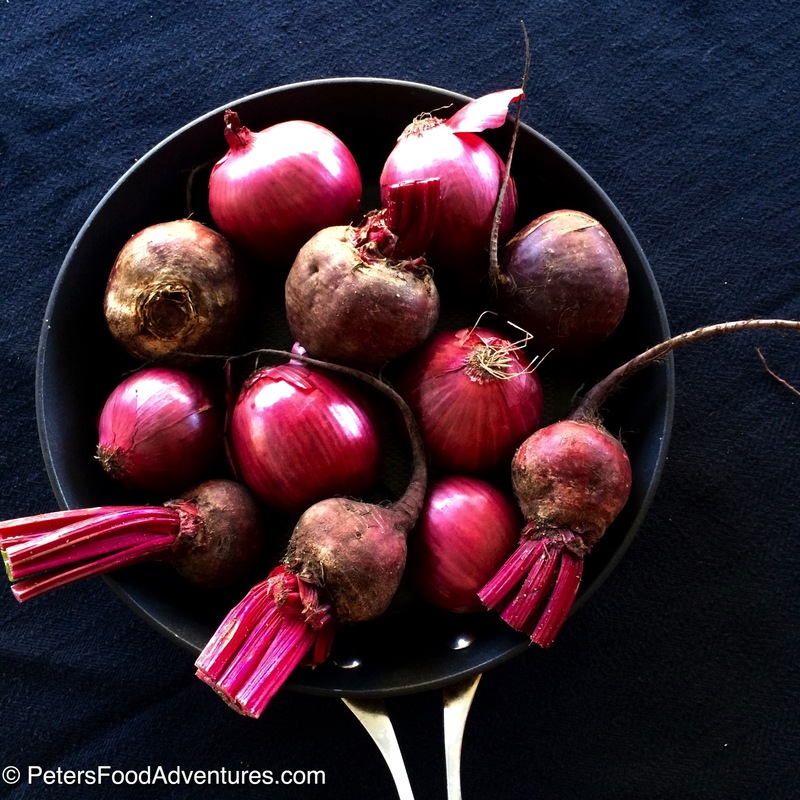 It is best to find the smallest onions and beets as you can, however sometimes that’s easier said than done. Top if all off with crumbled goats cheese and enjoy! 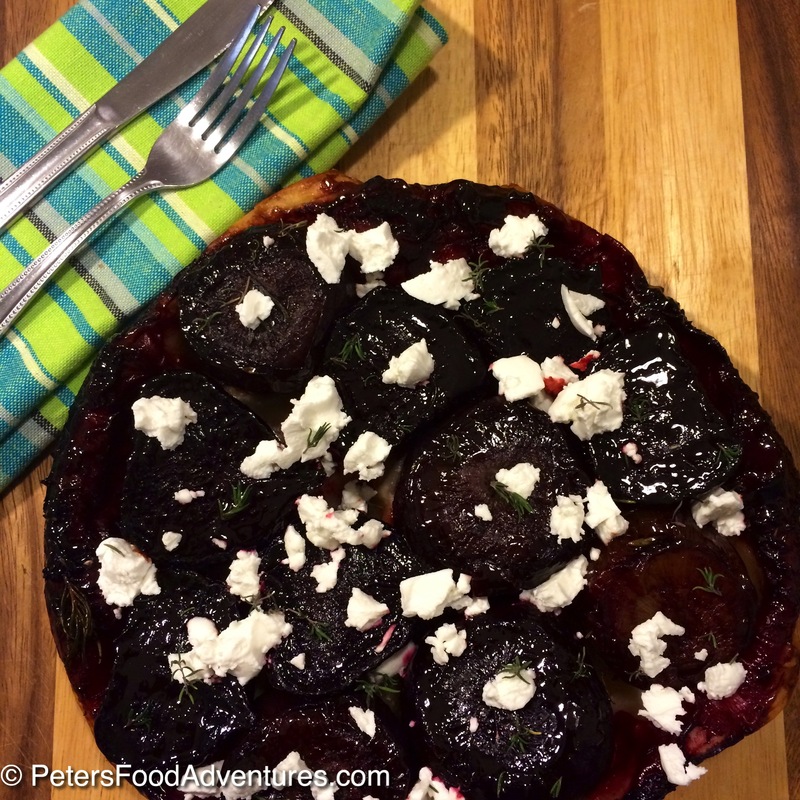 Beetroot Tarte Tatin with onions, goat’s cheese & fresh thyme – A cold weather family favourite recipe . Have generous piece because life’s short! Bon Appetit! Приятного аппетита! A cold weather family favourite recipe, an interpretation of the French Classic Tarte Tatin - Beetroot Tarte Tatin with onions, goat's cheese & fresh thyme. Melt the butter and oil over medium heat in an oven proof frying pan. Add the beets and onions toss to coat in the butter and oil. Ensure the beetroot and onions are snug in the frying pan. 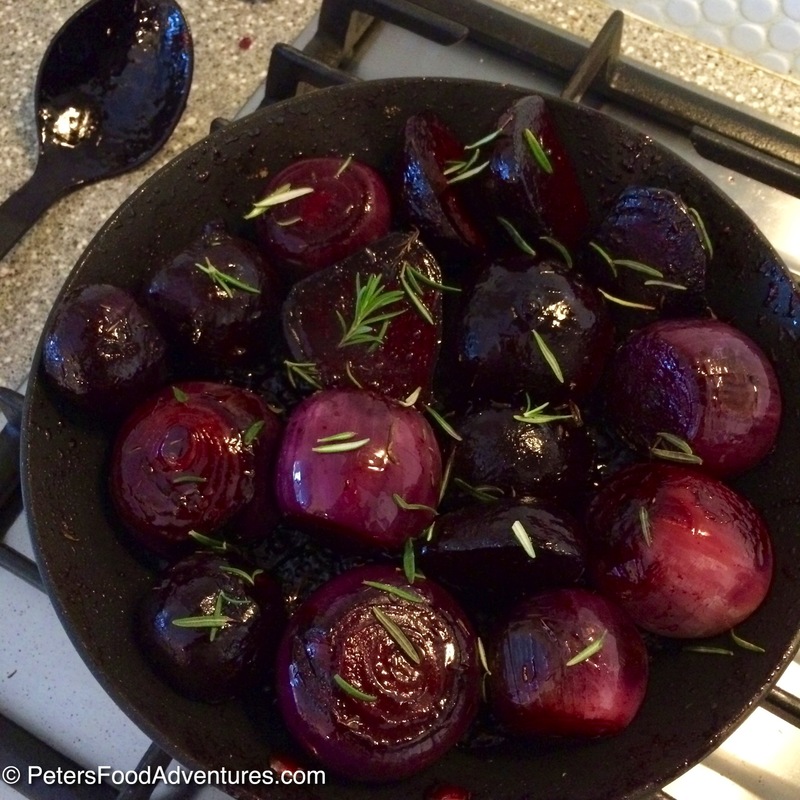 Add the balsamic vinegar, brown sugar, rosemary, thyme, salt and pepper and stir well, covering the beets and onion. Cook for about 20 minutes, constantly turning to coat the beets and onions. During this time, add the sherry and add balsamic and sugar if required. 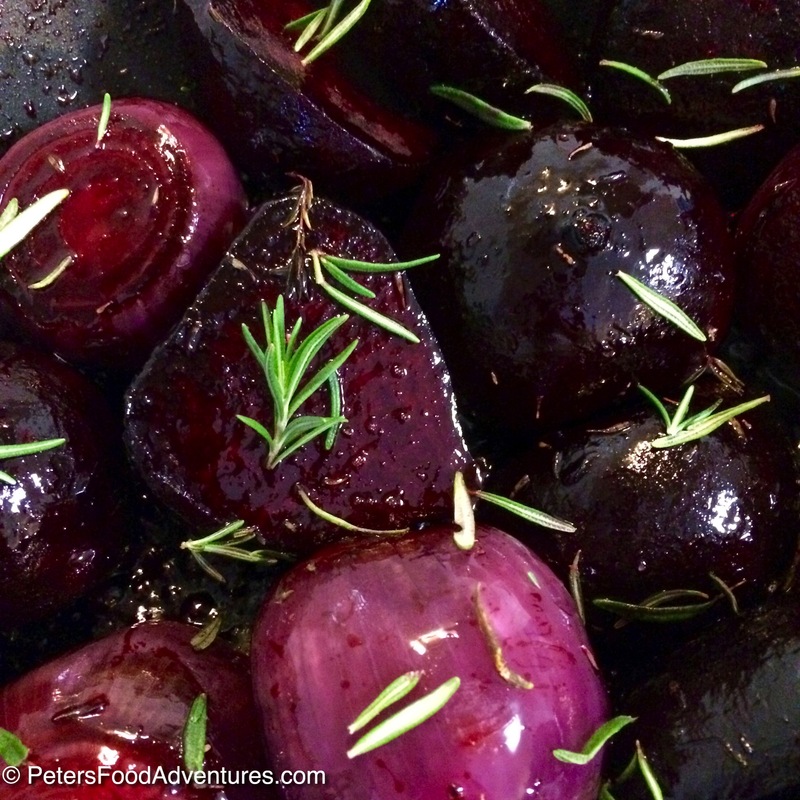 Cover with foil and place into a preheated oven for 30-40 minutes until beets are soft and onions caramelized. Remove from the oven and arrange neatly, largest cut side down. Cut the puff pastry the size of the frying pan and cover the beets and onion, tucking in the edges of the pastry in the pan. Allow the Tarte Tatin to cool for about 10 minutes. 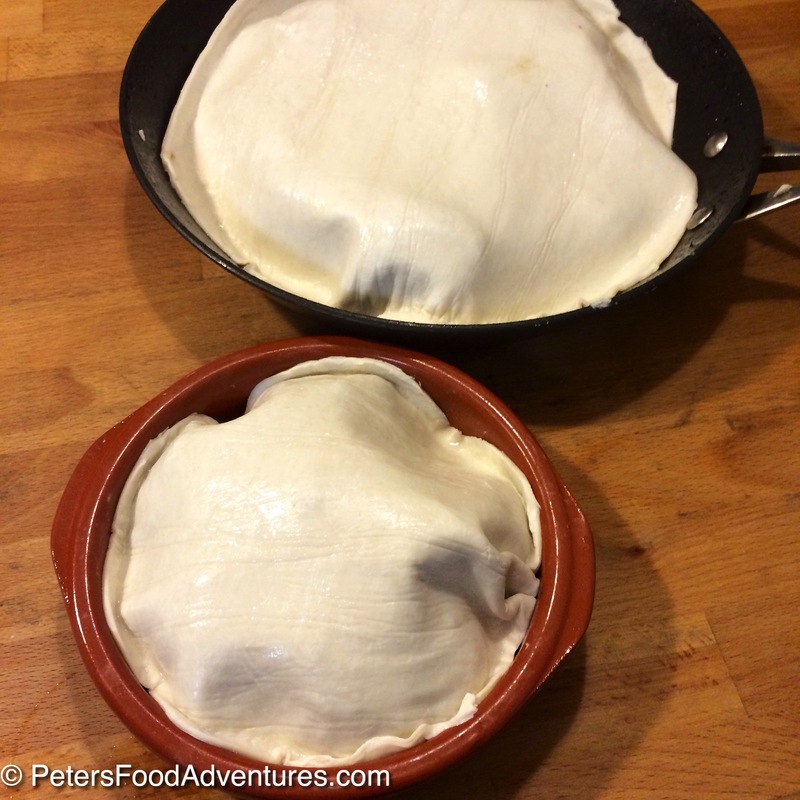 Place a large plate over the pan, and quickly flip it over, removing the pan. Pour any juices over the plate. Drizzle balsamic glaze over the Tarte Tatin and crumble goats cheese over it. Garnish with fresh thyme. 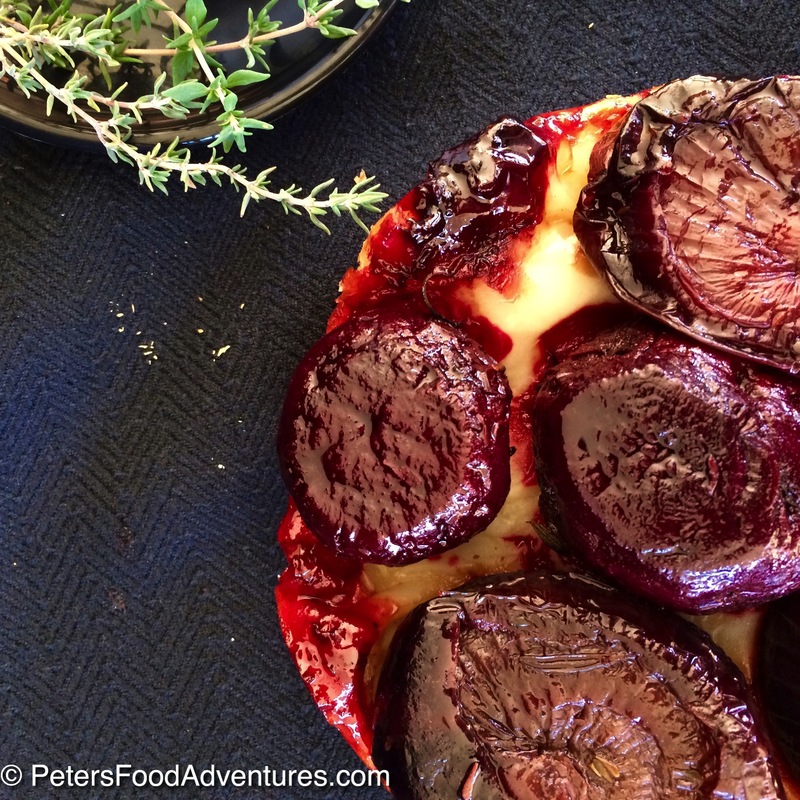 This recipe for Beet and Onion Tarte Tatin looks amazing! I love your photos and the colors. I also love beets so will be making this soon.